Now you can snag the same comfortable fleece vest you often see our cellar crew and Tasting Room staff wearing. 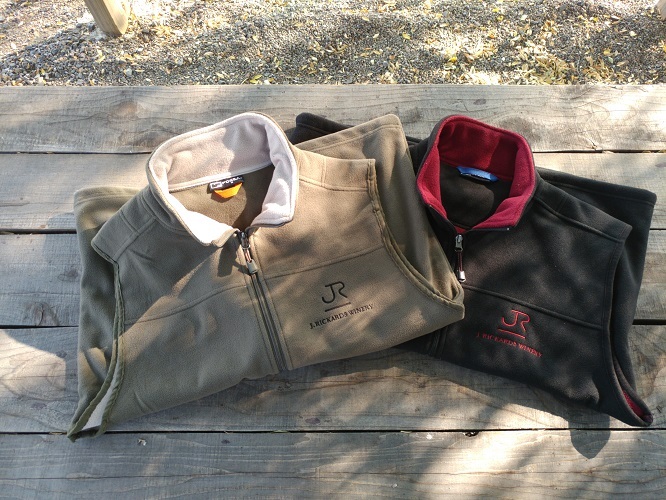 Professionally embroidered with the JR logo, our fleece vest is a versatile option for "dress in layers" weather. Choose Olive/Cream or Black/Burgundy.